Morning Star Incense – No stick, just pure incense! Each box has 50 sticks along with its own incense burner. 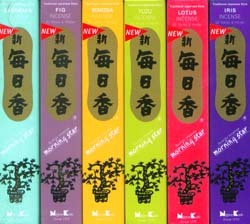 We carry 6 scents in this new addition: Fig, Gardenia, Iris, Lotus, Mimosa and Yuzu.